If you just threw down $150 for a bottle of Champagne you want to savor it. But other than swallowing ever last drop and going on and on about hints of grass and berries there is not much more you can do to fully appreciate it. Champagne house, Krug, wants to change that with Krug ID, a site that gives you detailed information and a story about that very bottle your are enjoying. 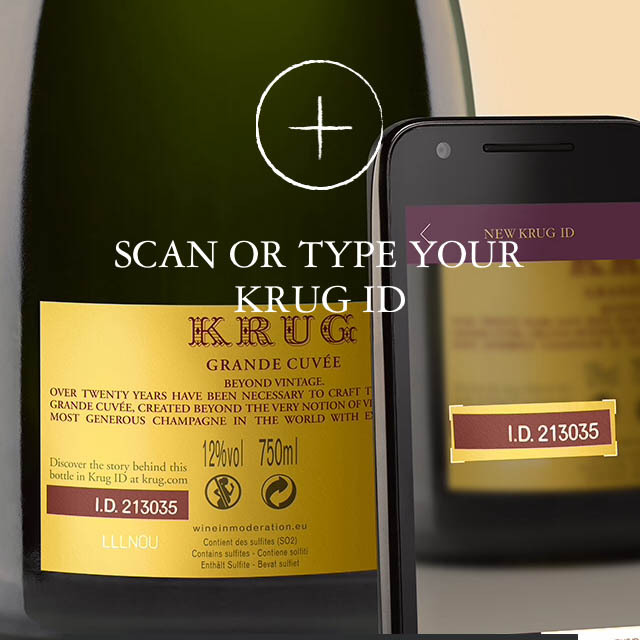 Enter a 6 digit ID into the site or scan the label with the Krug ID App and learn about the bottle's creation. The reference guide tells you when the bottle left the cellar and when it received its cork. It gives details tasting notes, storing suggestions, what type of glass to drink from, dinner pairing suggestions, reviews, and even a music pairing. The bottle we tested is a blend of 142 grapes from 11 different vintages and left the cellar in winter 2013. It should also be paired with music from jazz pianist Jacky Terrasson. The Chef De Caves, Eric Lebel, wrote a personal note about the bottle with details about the Grande Cuvée and what in its composition that gives it its distinct taste. For Champagne lovers this is a fun addition to drinking a really good bottle of champagne.